Seven recipients of the Nobel Prize in Economic Sciences were among 75 economists endorsing an increase in the minimum wage for U.S. workers. 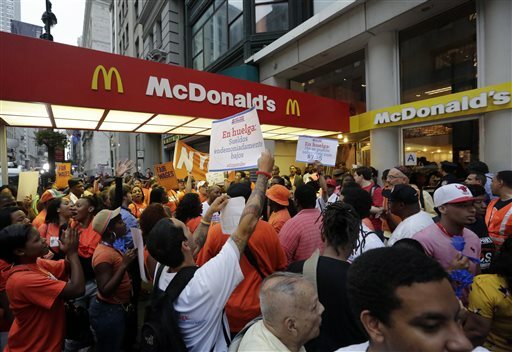 Fast-food workers held protests across the country this year in hopes of seeing an increase in the minimum wage. Jan. 14 (Bloomberg) — Seven recipients of the Nobel Prize in Economic Sciences were among 75 economists endorsing an increase in the minimum wage for U.S. workers.